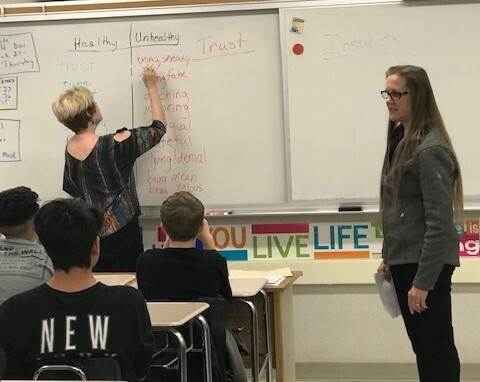 Placerville Soroptimist Club members assisted Judy Knapp of PreventionWorks to deliver curriculum to 7th graders at a local middle school. In the next four weeks, we'll help them learn about personal safety and social emotional skills to help create an environment of safety, health, freedom and healthy relationships. This includes specific behaviors that can keep children from being trafficked. Soroptimist International Placerville - Helping to Keep To Keep Our Community Children Safe!!!! !